City is a legally established autonomous, territorial, self-governing, and administrative unit of the Slovak Republic, as well as a legal entity. keep the City chronicle in the national language. The law permits that some state administration decision-making tasks be transferred to the City, if their execution is thus more rational and efficient. When transferring decision-making tasks to the City, the Government shall release the appropriate needed financial and material means. The current territory of Tornaľa town was settled as early as in the Bronze Age, as evidenced by the rich archaeological finds of the Piliny and Kyjatice cultures. The first records of today’s town and urban areas date back to the 11th to 13th centuries: Köwy from 1245, Tornaľa and Králik 1291, Starňa 1235, Behynce from 1247. Tornaľa has always been the central settlement of the middle stream of Slaná. In 1858 it was granted market rights and by 1873 the railway line leading through Tornaľa was operational. From 1853 to 1960 Tornaľa was the seat of one of the districts in county Gemer. In 1960 Tornaľa gained town status and in terms of the administrative division of the Czechoslovak Republic it was added to Rimavská Sobota District, Middle Slovakian Region. Since 1997 Tornaľa has belonged within the Banská Bystrica Region to Revúca District. Pupils and adults commute to schools, factories and other institutions in Tornaľa from three districts of the Banská Bystrica and Košice Regions (Revúca, Rimavská Sobota, Rožňava). The total town area is 5776 ha, it consists of three cadastral territories and four urban areas. Tornaľa town is a major traffic juncture at the intersection of State Road no. I/50 and State Road. no I/67, the latter leading to the state border with Hungary. Railway line no. 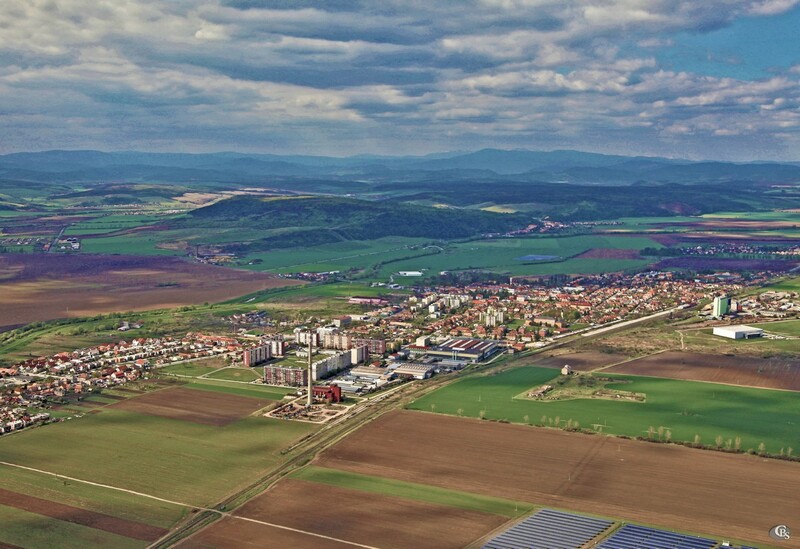 160 Zvolen – Košice runs through the town territory in the east-west direction. In 1990 the Ministry of Interior of the Slovak Republic based on citizen petitions decided to change the name of town Šafárikovo to its original historic name – Tornaľa. According to the census of people and housing in 1991 the population of Tornaľa was 8485, but in 2001 it was only 8153. The decline index was 96 per cent. According to population records the population of Tornaľa on 1 June 2018 was only 7170. Among remarkable monuments belong the Calvinist reconstruction of the Gothic church from the 15th century, the mansions of Tornallyay, Hámos, Hevessy and Miksa-Moess families, the mansion in Starňa, the former White Horse Hotel and the Szentiványi mansion in Behynce. Also remarkable is the Baroque statue of Saint John of Nepomuk in Králik. The Memorial of the Victims of WWI in the building of the town hall was revealed in 1928. Two monuments in the park on the Main Square commemorate the victims of WWII. In the 20th century other important buildings were constructed: in 1990 the brick factory, in 1924 the seat of the district office (currently a dormitory), in 1928 the Town House (currently Town Hall), in 1928 the cadastral office (the seat of the Secondary Agricultural School and until 2018 the seat of the Secondary Grammar School), in 1931 the Roman Catholic church, in 1933 the Evangelical church, in 1958 the „new school“ (currently the P. J. Šafárik Elementary School), in 1990 the Ferenc Kazinczy Elementary School. Apart from the two elementary schools there is a kindergarten with two eloquent workplaces, a primary art school and a leisure centre under the town’s jurisdiction. Under the jurisdiction of the self-governing region there is a secondary vocational school, a combined boarding school, re-education centre and a retirement home. After the shutdown of the largest industrial plant Ozeta in the premises of the former barracks the Brown Industrial Park was established in 2011, where currently the Selyz furniture company employs approximately 270 staff. Other industrial plants include the Aries2, LVDS2 and S3 machine factories, and the I.P.A. metalworking company. In Tornaľa there is a post office, a district police department, a VÚB and an OTP bank branch, a polyclinic, four pharmacies and a cultural centre and library. In the summer season the Sea Eye outdoor swimming pool in Králik is open. The artificially designed pool with the 1.75 ha water surface is supplied from the 40 m deep sea eye. Tornaľa and its surrounding area in the Gemer region provide ideal conditions for the development of tourism and recreation.